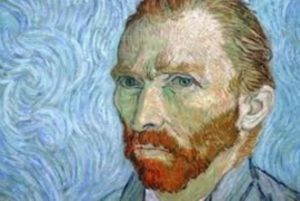 PanARMENIAN.Net – A sketchbook of drawings by Dutch post-Impressionist master Vincent Van Gogh has been discovered and will be published in November, the French publisher Seuil announced Thursday, June 16, according to AFP. “This sketchbook was known only to the owners, myself and the publisher,” Seuil official Bernard Comment told AFP, calling the discovery “stunning, dazzling”. The artwork will be released under the title “Vincent Van Gogh, Le Brouillard d’Arles” (The Fog of Arles), he said. The prolific painter lived in the French town of Arles, in southern Provence, in 1888 and 1889. It will be published first in France, the United States, Britain, Germany, the Netherlands and Japan, and in other countries at a later date, Seuil said in a statement. The publisher did not give details of the sketchbook’s provenance or the planned price of the publication. “No further information will be divulged until the world press conference to be held in Paris in mid-November 2016 on the eve of the book’s arrival in bookstores in the various countries,” Seuil said in a statement. Comment said he had known of the sketchbook for “a little over a year” and that it contained more than 10 drawings. Experts have confirmed the authenticity of the drawings, he said. Van Gogh, who suffered from alcoholism and mental illness, committed suicide on July 29, 1890, dying poor and unknown. His paintings now sell at auction for tens of millions of dollars.